Thaws food quickly without heat. Safe for use on gas and electric cooktops and ranges, even those with a smooth glass surface. Fits over two burners/elements to expand cooking surface. 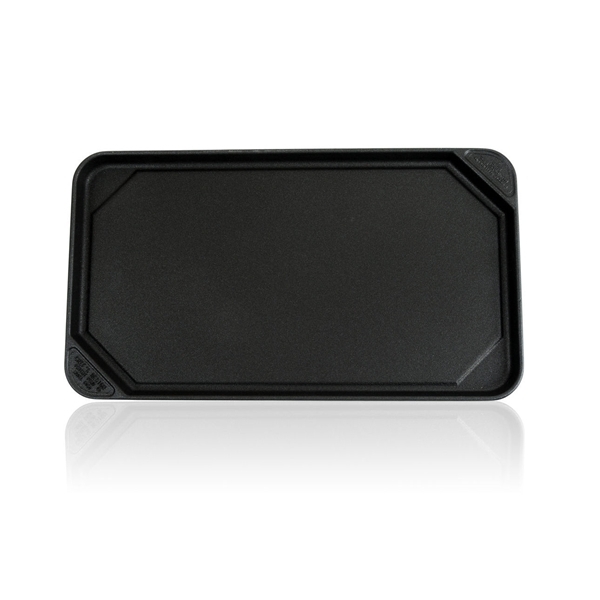 Commercial-grade, cast aluminum surface conducts heat quickly and evenly.